This year was my first year at Chelsea. 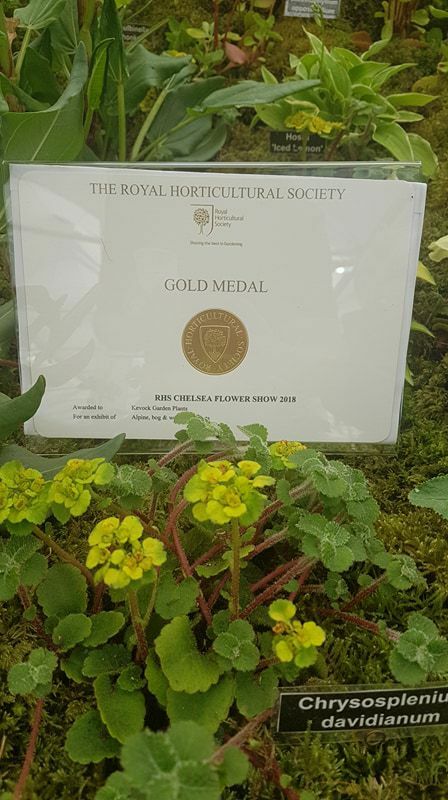 I was lucky enough to be able to work at Chelsea for Kevock garden plants. 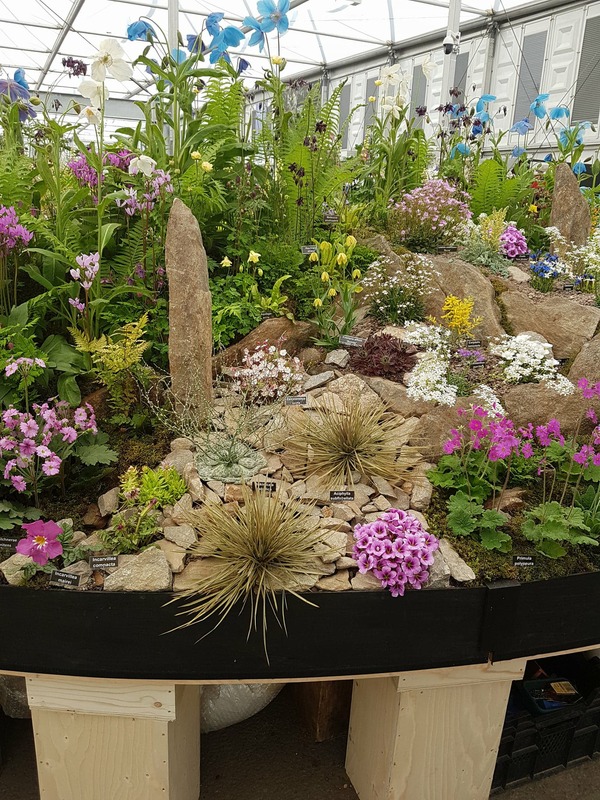 The display had a river of Meconopsis flowing over the top with sections of rocky alpine containing plants like Aciphylla, Sempervivum, Saxifraga and Oxalis; the unusual and very difficult to spell Bukiniczia cabulica. The woodland section contained such gems as Trillium grandiflorum ‘Snowbunting’, Paris quadrifolia, Corydalis, Primulas and the stunning Arisaema griffithii var pradhani. Moss weaving in and around the plants gives a naturalistic interpretation of Chinese hillsides. 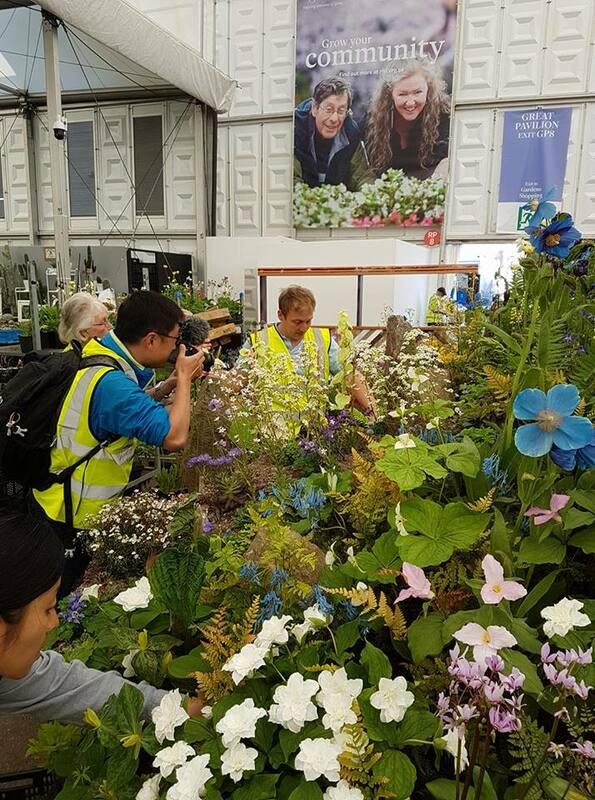 Graham Gunn can be seen being photographed by a Chinese film company who are doing a show on ‘Chinese Plants Around The World’. He was later filmed and interview talking about the prevalence of Chinese plants in horticulture particularly Scotland. Which is why I reunited with the film crew at RBGE as they began filming the Chinese hillside. 3 years ago I was watching the Chelsea Flower show with my mum. I joked to her that in the next 5 years I would be working at the Chelsea Flower show and win gold. Dream big! Kevock take volunteers over summer; Email me at connor.smith522@googlemail.com for further details.